Jim Fischetti is committed to transforming lives and developing leaders, who want to do the same. He is passionate about growing sales organizations and individuals within them who are ready to go beyond the next step and move toward greatness. After building a successful career in real estate, Jim found himself wanting to do more. Good wasn’t really good enough. 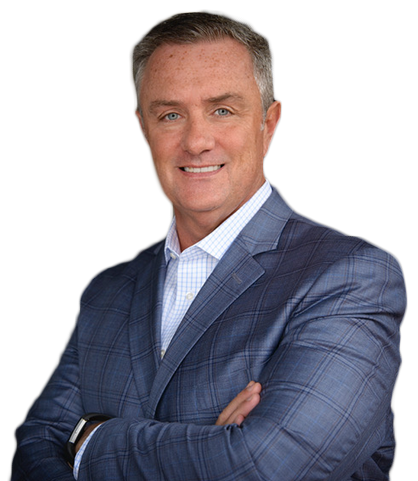 He has owned multiple real estate firms, and built teams of successful, driven sales professionals. It is through the excitement and satisfaction that he found from helping people become the best version of themselves and creating thriving organizations that Jim went onto become a national speaker, author, coach and consultant. Jim’s book, Winning With Words, has inspired real estate sales professionals around the country. In the inspiring read, Jim shares the importance of being able to deliver words at a higher level. Readers take away the confidence to deliver the right words and the right time, communicating effectively while increasing their profits and overall production. Sales agencies all over the US call on Jim to encourage, inspire and fire up their organizations. As a speaker, he delivers both meaningful words as well as the motivation budding leaders need to begin building more productive businesses and inspiring teams of their own. Audiences leave captivated and ready to spark change. When a more in-depth or hands on approach is needed, clients also look to Jim for his results-driven, personalized coaching and consulting services. His one-on-one and group coaching sessions are designed to help sale pros reach their highest potential. At home, Jim enjoys spending time with his wife, Jill of 33 years. Together, they serve as marriage mentors in their community. They both cherish the time they spend with their grandchildren: Alastair, Fiona and Catherine and also love spending time at the beach. Jim and Jill love to stay active and both enjoy exercising. Jim is an avid reader and a big Jimmy Buffett fan.